Many people are not aware of the fact that knowing your credit score is as important as maintaining a certain standard of living. There are certain reasons behind this statement and all are proven. It is known that to maintain a certain standard of life, you need to buy basic resources for the fulfillment of basic requirements. In order to buy basic resources, you need to have a basic income. But there are many things which need financing from an agency at a certain interest rate. The reason that finance is being talked about here is that your credit score has a lot to decide about what kind of finance you will get. A credit score is nothing but a numerical value to your creditworthiness for the previous financing agencies. Your credit score is always measured by taking into consideration the numerical values and some qualitative factors which is the reason why it is assumed to be accurate. If you need another loan for your next house or car, the financing agency will take a look at your credit score and set the terms and conditions accordingly. The above reason is enough to make you realize that maintaining a basic credit score is important. Many people go bankrupt and they don’t find any technique to get back at the previous credit score they had. If you follow experts, then they will tell you how rebuilding credit after bankruptcy works. 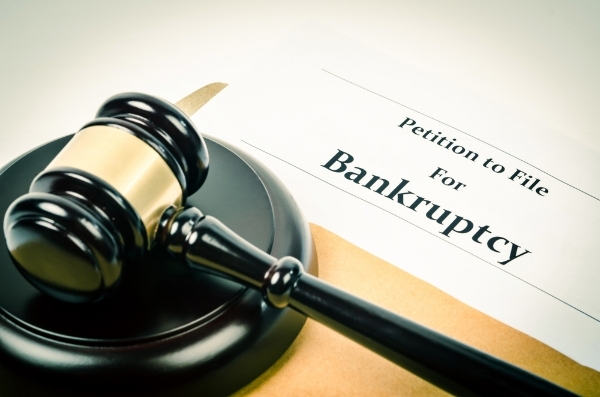 If People realize that maintaining credits important then they will find techniques for repairing it after bankruptcy themselves. The following are the steps you must follow to use credit cards after bankruptcy to repair credit. Credit report – The person must make sure that the credit report is up to date with full accuracy. When a person is bankrupt, the credit report may show some errors regarding the account standings after bankruptcy which need to be corrected. You can notify the reporting agencies if you have any problem with the credit report. if you have a credit score of 650 or above then you will get a loan at conventional rates of interest but anything below will have subprime lending into effect. Enhancing your application – As you wait for 2 years after bankruptcy, you can still improve your profile and make sure that the lender has got the right credit report with a good reputation of yours. Some other ways of enhancing credit score are to have a little debt and a large income with significant cash reserves in the account. Enable automatic payments – Whenever there is a bill payment after a week or so, you must ensure that automatic bill payments enabled so that the amount is automatically debited from your account to maintain no debts whatsoever. Manage credit card payments – If you have a credit card, then you must maintain a low balance light bill payment on time. Less than 25% of the fully available amount must be owed by you. Your credit card can play a huge role in refinancing after a bankruptcy. Get the best financing offer – If you want approved refinancing after bankruptcy, you must carry out effective research for the best recommendations. This investment of time will help you pay dividends from your savings in the future. The above-mentioned techniques will help you to get back your desired credit score after bankruptcy in order to enable smooth functioning of your life by maintaining a basic standard of living or even improved beyond your expectations. So contact an expert to repair credit fast by effective implementation of all these techniques. Not everyone will be equally effective so you must choose the one according to your own requirements.